Why eat boring, when you can eat FABULOUSLY?! Whew! It took me a while to go through all of those LOVELY recipes! Thank you all so much for participating! This last Themed Baker's Sunday, I didn't want to make it about winning, so here are a few unique recipes that really popped! This is so different! I LOVE it! Cranberry's have had a bad rep, but they're coming back in 'style'. 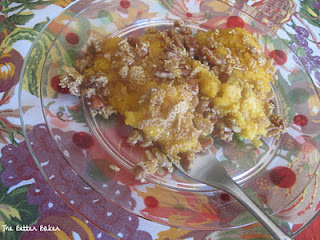 You always see sweet potatoes on the table but never squash! I'm defiantly making this for next year! OOO This is a great right before Thanksgiving teaser or a great treat in between Thanksgiving and CHRISTMAS! You know I am a bit biased when it comes to cake pops, they're just so darn cute!! 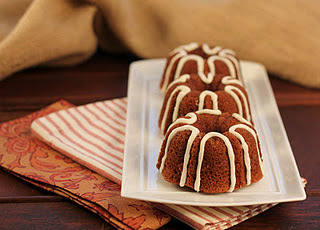 Mini Pumpkin Bundt Cakes with Cream Cheese Drizzle By: That Skinny Chick Can Bake! Tell me that these are not adorable and delicious looking!! 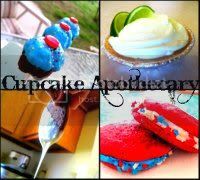 These are a must make! I'm not big into cranberry sauce, but this recipe makes me want to try it! I'm going to be making this next year as well!! 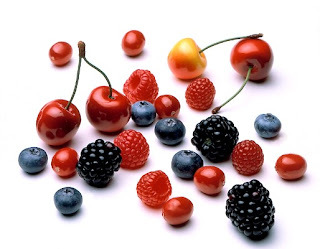 Any berry you can think of can be involved!!! 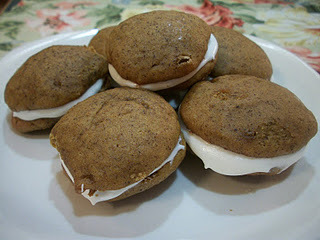 Link up, make sure you put my button on your recipe, and go comment on other blogger's yummy deliciousness!!! A Themed Baker's Sunday Continues!!! 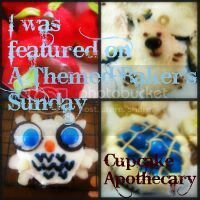 A Themed Baker's Sunday is back and just in time for the holidays! This week's theme is simple! 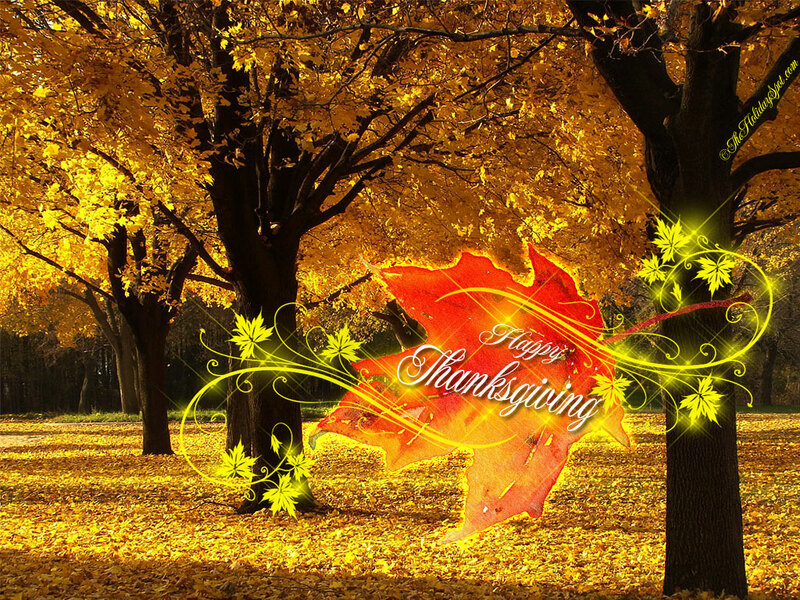 Anything you want: cookies, pies, turkey marinades, stuffing, yams, rolls, etc. etc. etc. Whatever you got going on the table this year, bring it to A Themed Baker's Sunday! 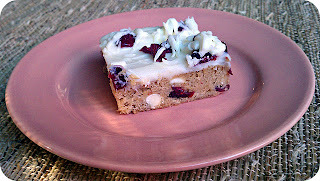 I saw this recipe over at Sweet Pea's Kitchen and I had to 'steal' it from her! 1. Preheat oven to 350F. Butter the bottom and sides of a 8 inch metal baking pan. Put a long piece of parchment paper in the bottom of the pan, letting the parchment extend up two sides of the pan and overhang slightly on both ends. (This will make it easy to remove the bars from the pan after they have baked.) Butter the parchment. 2. In a small, heatproof bowl, melt butter and chocolate together. Stir until combined and very smooth. Set aside to cool for a few minutes. 3. In a large bowl, whisk together sugar, eggs, vanilla extract and red food coloring. Add chocolate mixture and stir until smooth. Add flour and salt and stir until just combined and no streaks of dry ingredients remain. 4. Pour into prepared pan and spread into an even layer. 5. To prepare cheesecake mixture, beat cream cheese, sugar, egg and vanilla extract in a medium bowl until smooth. 7. Swirl in with a knife or spatula. 8. Bake for 35-40 minutes, until brownies and cheesecake are set. A knife inserted into the cheesecake mixture should come out clean and the edges will be lightly browned. 9. Let cool completely in pan on a cooling rack before lifting out the parchment paper to remove the brownies. Wanna Be A Guest Writer?